FLKLR designs revive the surf revolution just in time for a long-awaited summer. Founder and visual story teller, Mar Cubillos, uses clean, minimalist design to bring a breath of fresh air to the waves and the beautiful boards that ride them. The FLKLR branding perfectly embodies the company’s design ethos from its conception to the execution of a delicious array of hand-crafted boards. Smooth, clean lines and an effortless sense of minimalism capture the simplistic nature of man, board and ocean that Mar and his team have worked so attentively to restore to this increasingly commercial industry. The folklore of surfing takes center stage as the “fish tales of mysto waves in distant lands” inspire this triumphant return to the roots of the sport. 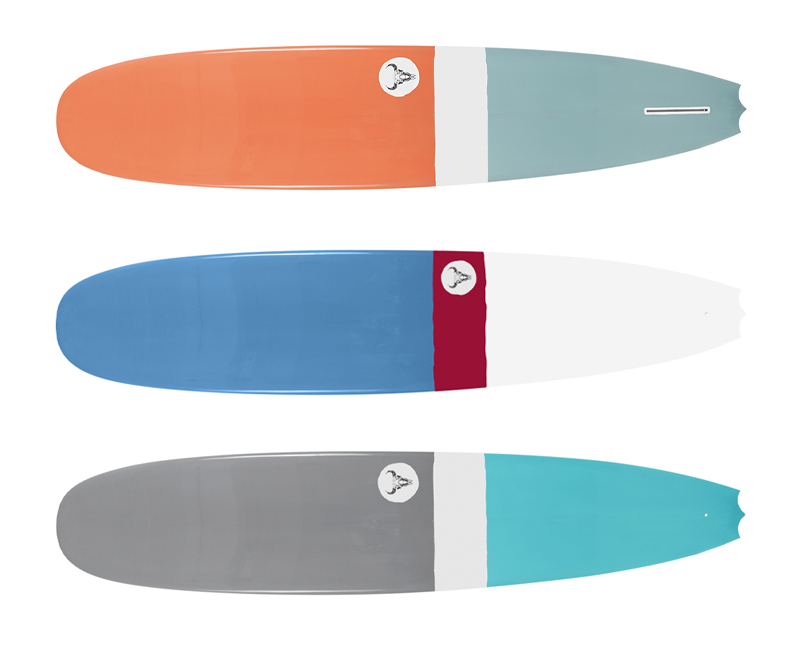 The boards are both designed and hand-crafted by Cubillos and his friend and fellow surf enthusiast, Shawn Vec. With a background in advertising, print & product design, Cubillos clearly has a keen eye for modern minimalist graphics. In keeping with the FLKLR vibe, he strives towards simplicity: “It's the simple things that are aesthetically appealing. Design is meant to solve problems and create opportunities.” This combined with Vec’s career as a pro-snowboarder for Burton and renowned board shaping skills creates a killer design duo, a collaboration that focuses on the unique experience and needs of each individual surfer. Having spent the last two years putting FLKLR together, Mar’s passion and love for the sport, its history and its exciting future come together in heart-felt concept and a cleverly executed design. Touching on the most important aspects of surf, the boards are carefully created to adhere to the FLKLR vision, one which we hope to see a lot more of in the future. This innovative approach to revolution is both delicate and aggressive as it does not tear down its competitors but simply glides above them on a wave of imminent success.